Since 2017 started, I firmly resolved to say yes to more travel adventures which entails going beyond my usual hangout spots. It’s easier to follow through by starting small and going somewhere domestic or close to home as long as it fits my budget and will get me out of the house. As Chinese New Year approaches, the stars brought me good fortune as they led me to Binondo–the world’s oldest Chinatown and center of Filipino-Chinese culture. Now thriving with commerce and trade, visitors arrive to have a feel of its glorious history, try delectable Chinese dishes, and snag the best bargains. I’ve been there once in an expedition with friends but never got a full taste of its true charm since we focused only on shopping at Lucky Chinatown. We even missed out on the authentic Chinese food! 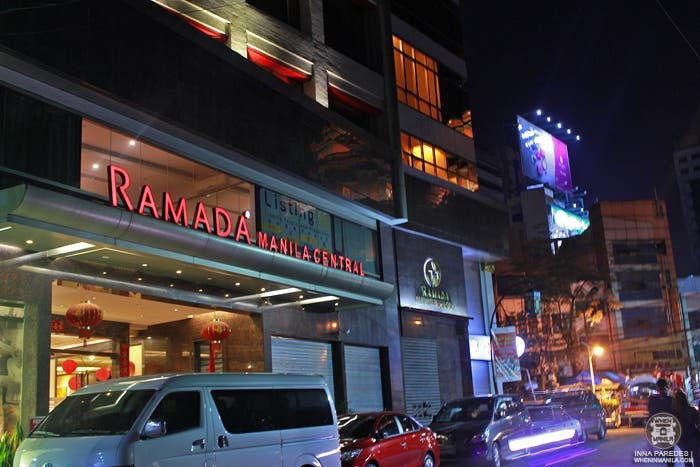 As redemption to my curtailed experience, I returned with my brother and my friend tagging along for an early January staycation at the only international luxury hotel at the heart of the city, Ramada Manila. 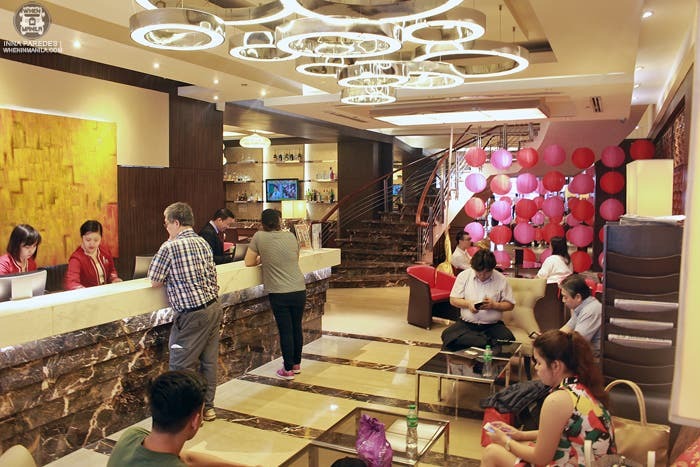 Having a prime location at the corner of Binondo’s major streets, Ongpin and Quintin Paredes, Ramada Manila is closest to most of the action in the district. 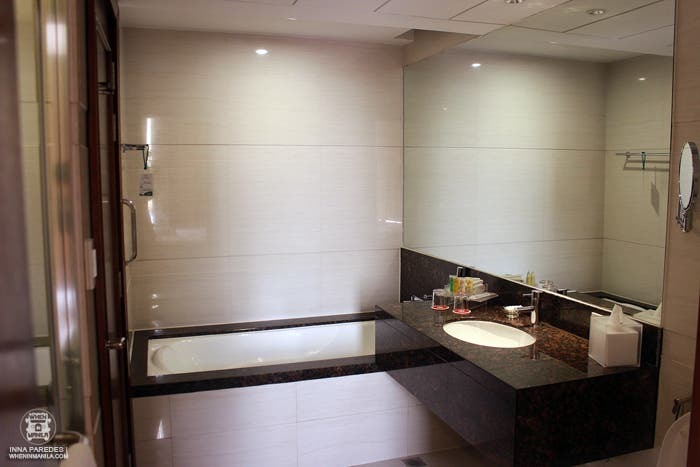 Its contemporary Asian-inspired design contrasted with old buildings and historical sites that characterize the city. 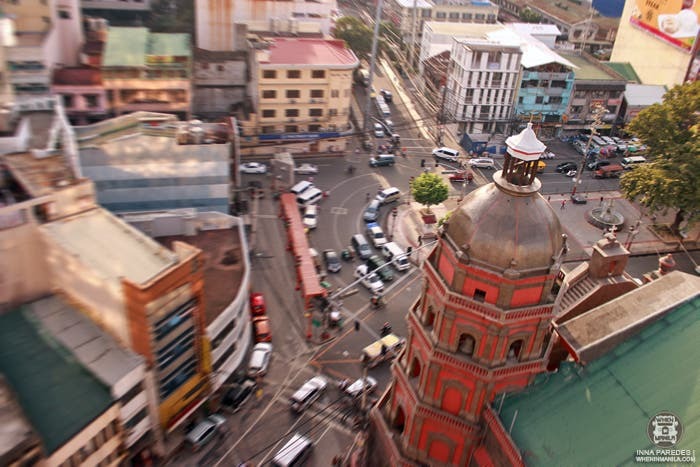 The most noticeable of which is the Minor Basilica of Saint Lorenzo Ruiz aka Binondo Church. We were greeted with warm smiles and prompt assistance. We also witnessed a mock set-up of their Chinese New Year food fair where guests would be able to order from stations offering freshly prepared noodles, cuapao, milk tea, and dimsum. This will be a part of their “Grand Lunar Lunch Buffet” on January 28 where there will be a cultural show featuring schools and instrumental groups. Just watching made me feel (Kung Hei) Fat (Choy) already! The sight of food at the lobby unleashed our inner beasts desiring to experience Binondo through their stomachs. Five Spice Bistro, which specializes in Asian fusion cuisine, kick-started our dining experience. 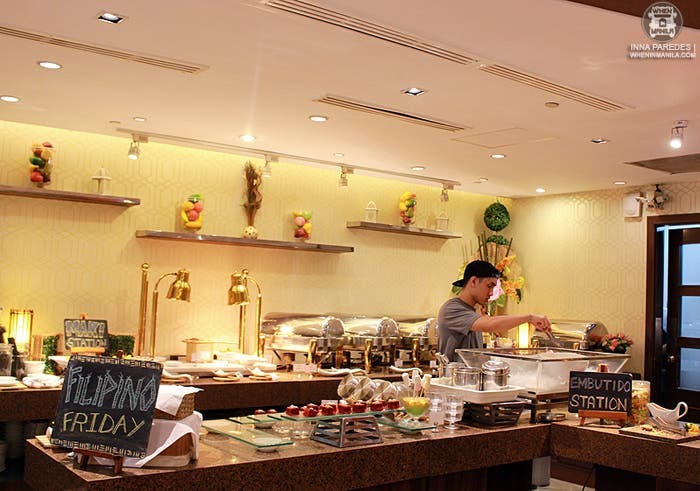 Their thematic lunch buffet menu (P390++) changes every weekday. 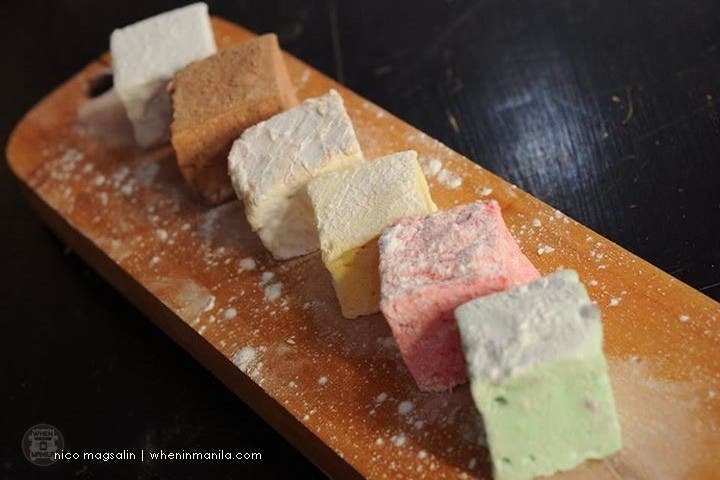 There’s American Wednesday, Chinese Thursday, and what we chanced upon, Filipino Friday. Yay! From the Mezzanine on the 2nd floor, we ascended to the Ramada Suite on the 15th floor. We gasped with delight and excitement as soon as we took our first step into the spacious bedchamber! The heavenly king-sized bed was not saved from excited individuals who jumped into its stark white sheets. Natural light all day long! 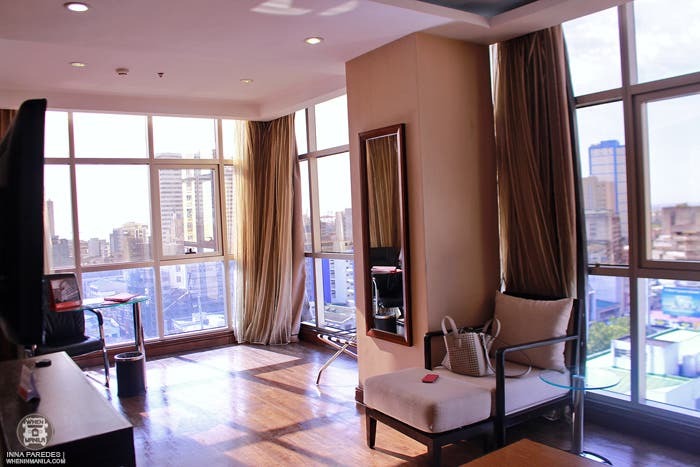 Every nook and cranny of the room was immediately flooded with natural daylight as we opened the curtains to a panoramic view. As the dark of night enveloped the skies, neon lights which emanated from store signs, Binondo church, and stream of street cars replaced the sun’s yellow rays. Binondo shone even more beautiful under the evening sky intensifying our already effervescent mood. Capturing the scenic view and the sights it holds. #InstagramWorthy! We were so relaxed that we melted into the bed while we enjoyed the complimentary internet and watched Adventure Time on the LCD TVs. But the streets below were more enticing. 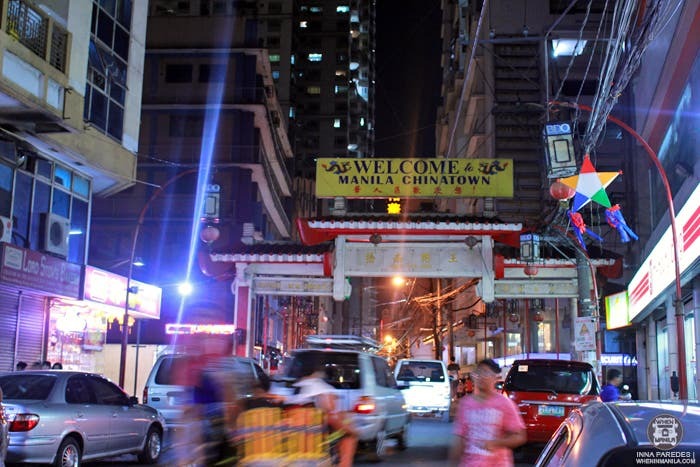 The next thing we knew, we were out of the hotel experiencing more of the cultural and gastronomical wonder Binondo has to offer. Time for a food wok! 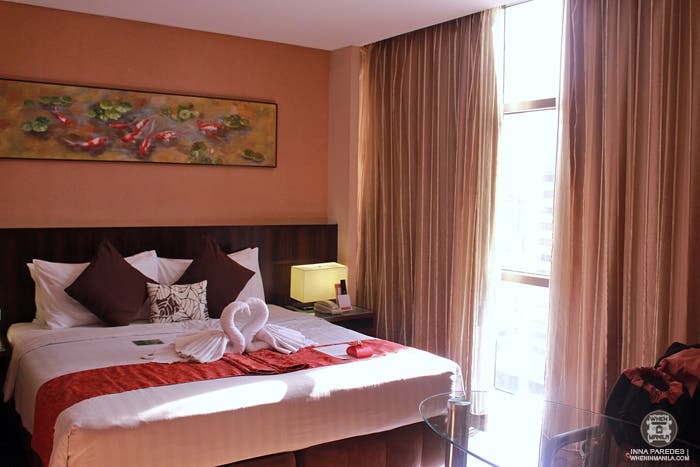 The staff eagerly recommended places to visit that were a stone’s throw away from the hotel. We then embarked on our own little Chinatown walking tour and foodtrip. At this point, we immersed ourselves into the Binondo environment as we were surrounded by feng shui merchants selling their wares, Chinese-Filipino families strolling around, temples of Buddhist deities, and, of course, hole-in-the-wall restaurants that went beyond beloved hopia and tikoy shops. Being the rooster I am in Chinese Zodiac, I woke up before daybreak and witnessed the sunrise from our lounge area. After contemplating how good the trip was so far, we took advantage of their buffet breakfast called Ramada Mornings. We devoured plates of fresh fruit, congee, pancit, waffles, and other pastries. My brother rested for a bit before working out in the hotel’s gym to burn all the calories. We bid zài jiàn (see you again) to our home where we found calm and relaxation amidst the hustle and bustle of Chinatown. I wanted to stay longer but responsibilities kept creeping up on me so we checked out of the hotel and checked back in to reality. After fulfilling my New Year’s resolution with a wonderful staycation, would I recommend Ramada Manila as your home when in Binondo? Given its core location around famous shopping districts and landmarks, beautifully appointed rooms, having the Wyndham group’s high management standards, and heart-warming Filipino hospitality, you didn’t think I’d say no did you? Hayabusa MMA Fightwear Drops In Manila: Grab It While It’s Hot!